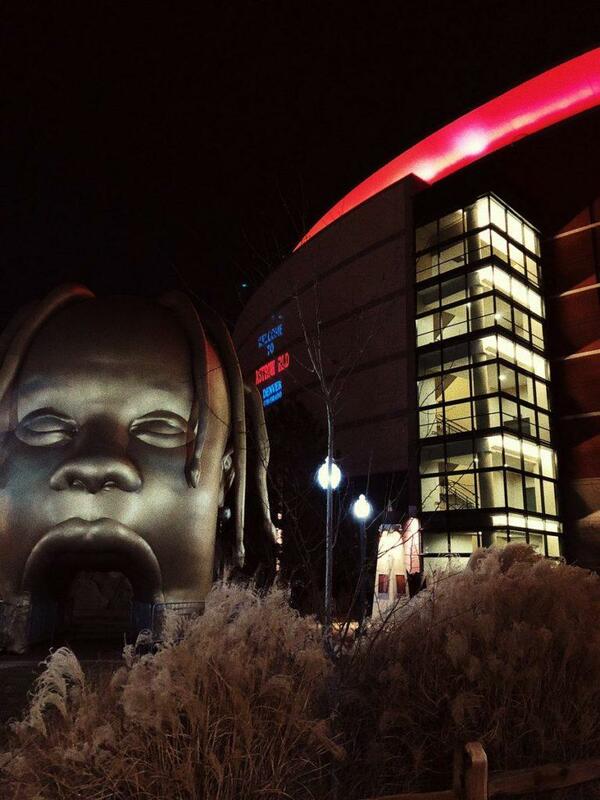 Travis Scott’s Astroworld Tour hit Denver, Colorado’s Pepsi Center on December 12th as one of the final 10 stops on the first leg of the tour. The show was certainly one to behold, being as it’s Scott’s first headlining arena tour after his massively successful 2018 campaign. But does Scott fair well as a headlining act? That is one of the questions I set out to answer when I attended his concert in Denver, along with having fun and enjoying the music of course. The first opening act for the show was Harlem’s own Sheck Wes. If you are unfamiliar with Sheck, he’s a newly-signed Cactus Jack Records artist that has a top 10 Billboard Hot 100 single under his belt in “Mo Bamba”. Wes came out shortly after 7:30, which was much appreciated by the crowd. Immediately upon entering the stage, he blasted “Mo Bamba” and raised the hype level of the crowd instantly. After performing “Mo Bamba”, Wes performed other songs such as “Chippi Chippi”, “Gmail”, “Live Sheck Wes”, and capped it all off by performing “Mo Bamba” once again. Funnily enough, the second performance of “Mo Bamba” got an even better reaction from those in attendance than the first one did. Shortly after Sheck Wes exited the stage, Gunna entered and began his performance. The first track he performed was “Pedestrian” off of his 2018 mixtape Drip Season 3. The crowd was clearly excited for Gunna and showed it as he kept his set rolling. He performed tracks off of his Drip Harder, collab album with Lil Baby, including “Style Stealer”, “Never Recover”, and the fan favorite “Drip Too Hard”. The whole building was rocking by the end of his set, eager with anticipation for Travis Scott to show up. Honestly, Sheck Wes and Gunna were the perfect openers for a Travis Scott show. 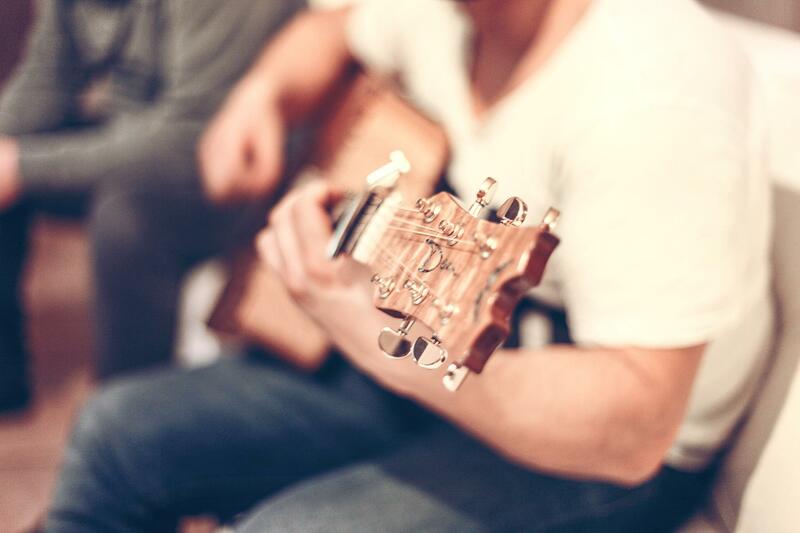 Their musical styles are somewhat similar and they have a lot of mutual fans. They both were able to hype up the crowd for La Flame and created a good atmosphere as well. While I was gazing at the intricate roller coaster-centric stage design that Travis Scott had created for our viewing pleasure, the arena suddenly went dark. On the giant circular centerpiece screen was a video that depicted childhood joys such as roller coasters, cotton candy, and the like. 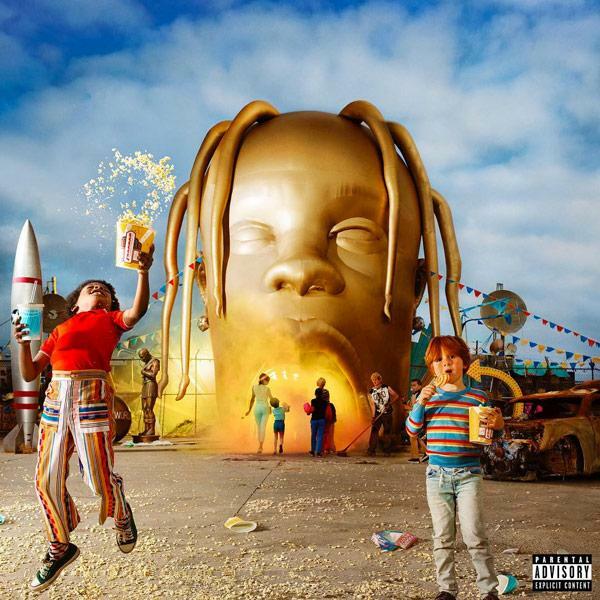 The video then stopped and the beat to Astroworld intro track “Stargazing” began with an insanely loud roar of approval from the crowd. 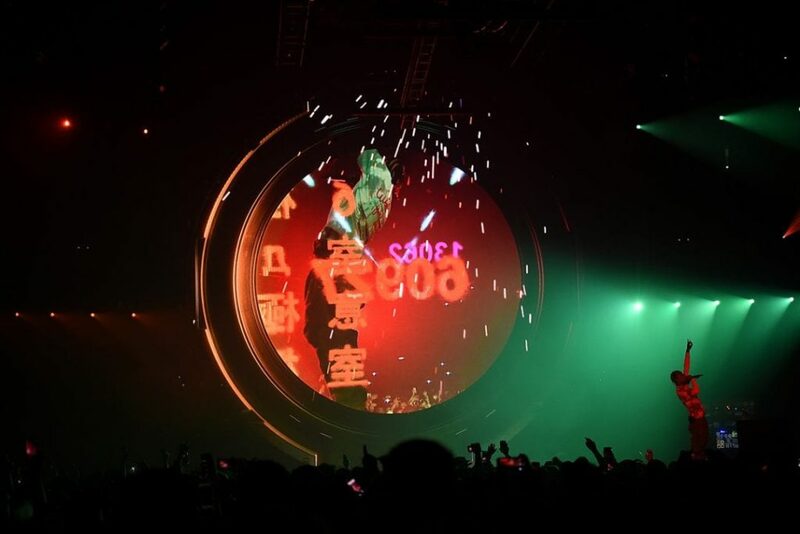 Travis Scott appeared from beneath the second part of his stage, complete with a looping roller coaster track, rapping every word of the song. The lighting was spectacular and the pyrotechnics were astounding as the magic is just beginning. 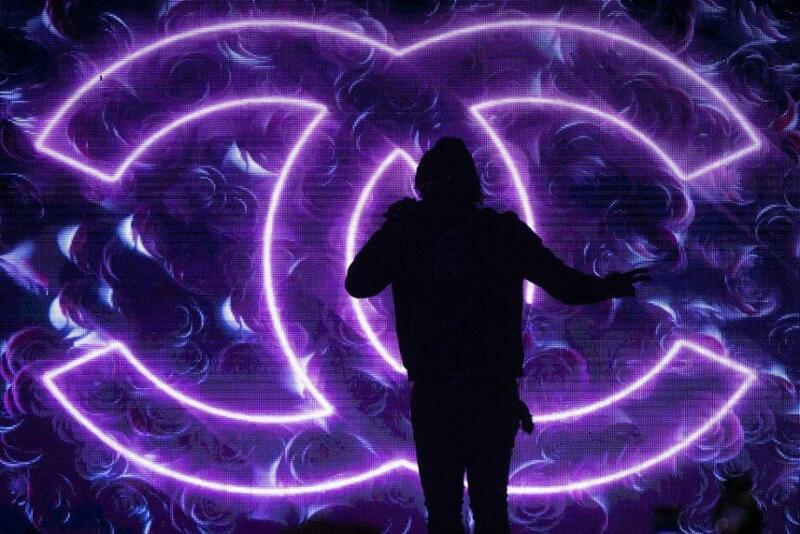 Following a great performance of “Stargazing”, La Flame addressed the sold-out Pepsi Center crowd and then began performing “Carousel”. The next section of the show was dedicated to all of the day one fans, with tracks including “Quintana”, “Uptown”, “Mamacita” and “Don’t Play” being played. Possibly the best thing about Travis’ set as a whole was the energy level of the whole building for every song. There was a stretch of the show that included six straight Astroworld songs, and I don’t think I’ve ever heard an arena as loud as that one was. Fans screamed every word and jumped up and down as the beautiful lights flashed in front of them. Later on in the show, Scott finally hopped on the roller coaster that was part of the stage design to perform “Can’t Say”. 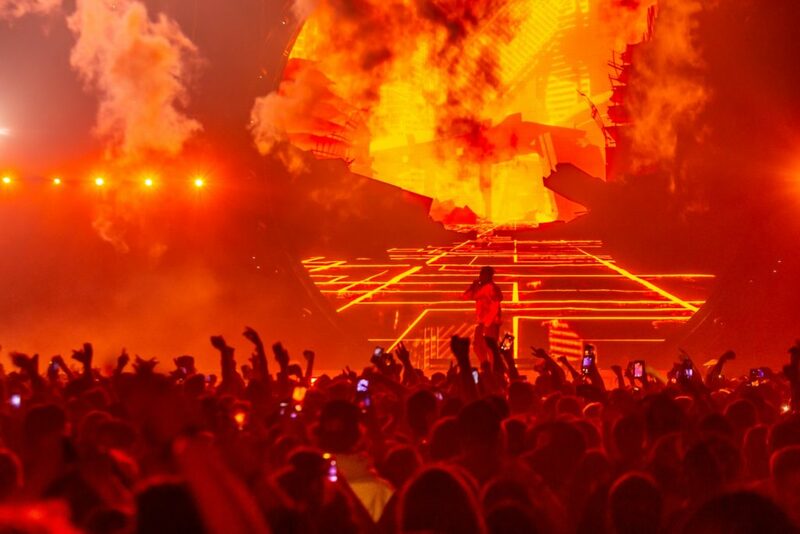 The coaster elevated La Flame above the crowd and slowly rode him throughout the arena. When he got to the other platform, he introduced Houston artist Don Toliver and rode the coaster back to the main stage as Toliver performed his portion of the track. This was an amazing moment and my personal favorite of the entire evening. 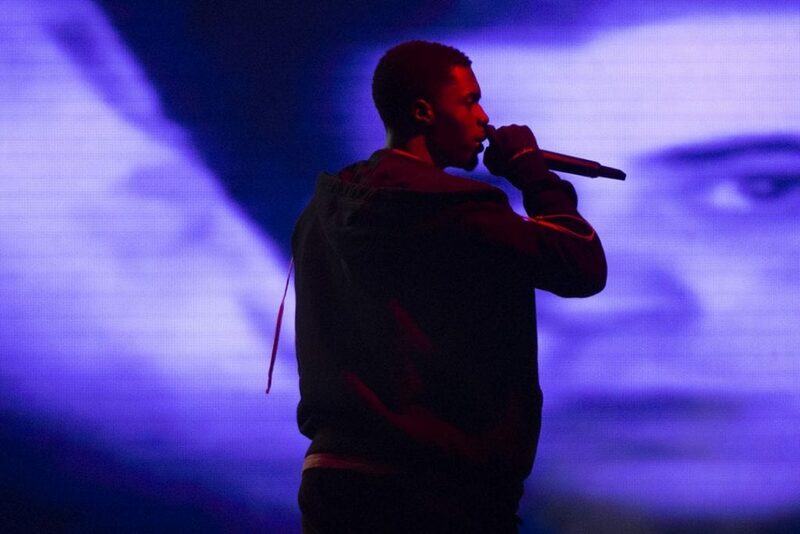 To finish off the show, Scott played “Antidote”, “Goosebumps”, and “Sicko Mode”, the three biggest tracks of his career thus far. Each of the songs got a roaring reception from the crowd and everyone seem quite happy with how the show turned out as they were leaving. In case you didn’t know, Travis Scott has a reputation for being one of the best live performers and always having a wild crowd. That reputation will be upheld based on what I experienced at this show. Even though I wasn’t in the general admission floor section right next to the stage, it was definitely a night to remember for everyone in the standard seats. The atmosphere of the show wasn’t the only thing that was perfect; the setlist, lighting, and visual effects were also top notch. The first leg of the tour raps up in Portland on December 22nd, but a second leg is supposed to be announced soon. If you are able to attend a show on the second leg, I would definitely recommend it. It was a 10/10 experience and exactly what I was hoping for.